للمسافرين الذين يرغبون أن يعيشو كل ما تقدمه موتيكا, Avalon Manor Motel هو الخيار الأمثل. لا يبعد الفندق كثيراً عن مركز المدينة، فهو يقع على بعد 0.3 km منها. في حين يستغرق الطريق منها إلى المطار حوالي دقيقة. كما يمكن الوصول بسهولة إلى ‪Ngarua Caves‬, ‪Jester House Cafe and Tame Eels‬. 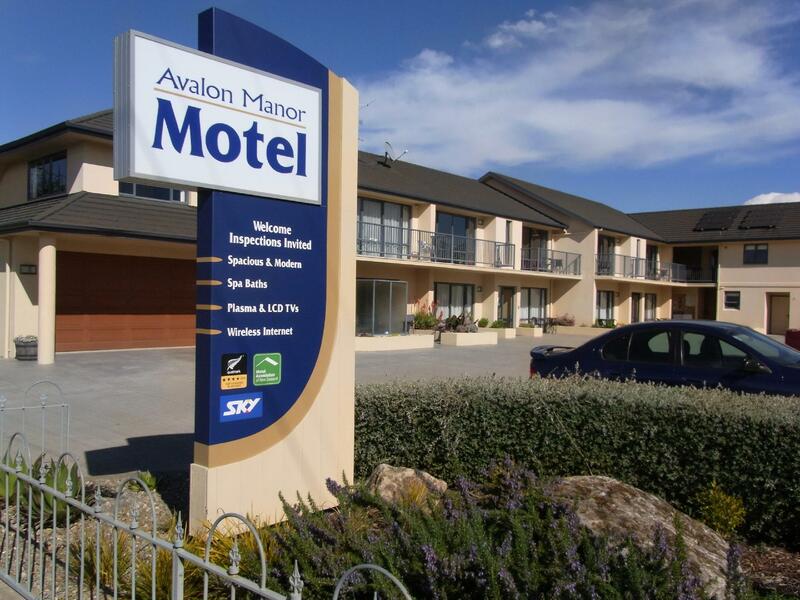 إن الخدمات التي يقدمها Avalon Manor Motel تضمن للنزلاء إقامة مريحة. يمكن لضيوف الفندق الاستمتاع بالميزات التالية على أرض الفندق: واي فاي مجاني في جميع الغرف, مرافق مخصصة لذوي الاحتياجات الخاصة, واي فاي في المناطق العامة, صف السيارات, جولات . تتضمن كل غرف النزلاء وسائل الراحة والتسلية المصممة خصيصاً لضمان الراحة القصوى للضيوف. يقدم الفندق خدمات رائعة كمثل حديقة لمساعدتك على الاسترخاء بعد نهار طويل من النشاط والتجوال في المدينة. مهما كانت دواعي سفرك فإن Avalon Manor Motel هو خيار ممتاز لإقامتك في موتيكا. Room was spacious modern and warm. Staff were very helpful and I honestly have nothing else to complain about!! Big rooms with loads of space and everything you need. Wish we could have stayed longer!!!! 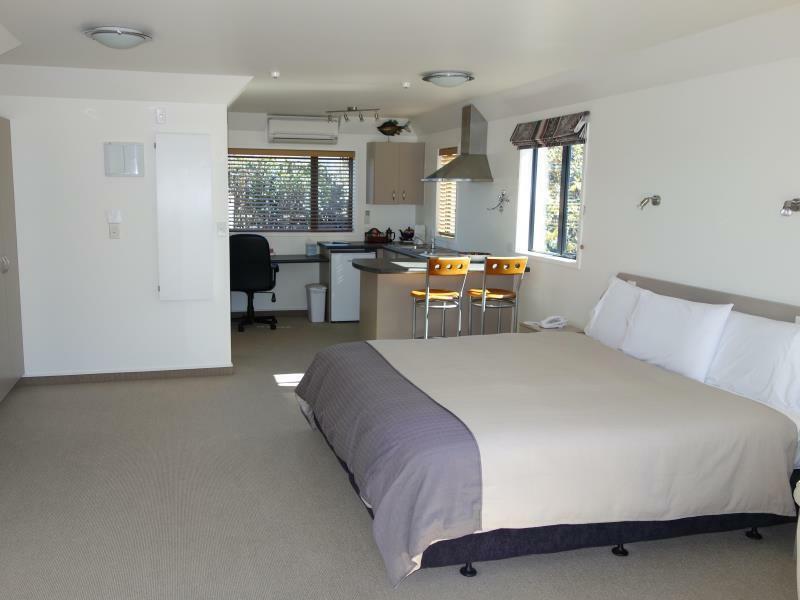 Had the pleasure of staying in one of the spa suites over Queens Birthday weekend was a lovely tidy apartment with a nice views out of the kitchen and lounge windows upstairs. I will looking forward to staying there again. Nice place to stay. Comfy beds and quiet. Everything you need. Starting to look a little tired, but definitely would stay again. 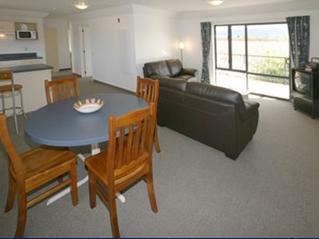 We had the 2 bedroom family unit which is definitely the pick of them - both bedrooms face away from the street. Others might be a bit noisier. We were really impressed by how roomy it was, and how new everything looked. Very central too - a short walk to main street shops and restaurants. Wish we would have had another night here! 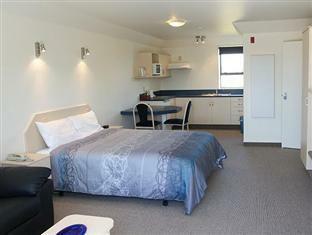 Clean and spacious studio style rooms, great little kitchen area and a separate spa style bathroom. Vineyard and mountain views out your back windows. Would highly recommend stopping at the nearby grocery, grab a bottle of local wine and stuff to make a home cooked meal in your little kitchen. A nice place to rest and relax after a lot of traveling and eating out at restaurants. Unfortunately the small bed in a lovely huge room was hard as was pillows. No fan either. A shame really. Suggest getting king bed with a 'cloud' cover for mattress and please get a selection of pillows . Sarcastic welcome when we arrived at 9 pm after a long and tiring hike on the Able Tasman Trail having pre booked and paid. They expect to be rung in advance but don't appreciate you can be unaware of this. No toiletries to speak off with only one shampoo. The only unfriendly motor hotel we've come across. Attention to detail. Had everything you would need for your stay and more. We were due to spend a day in Abel Tasman National Park but due to extreme weather we were unable to do any activities. This hotel was a great respite in the storm - lovely room, brilliant and HUGE spa, and the staff were exceedingly helpful at checking weather and road closures along our route for our onward journey. 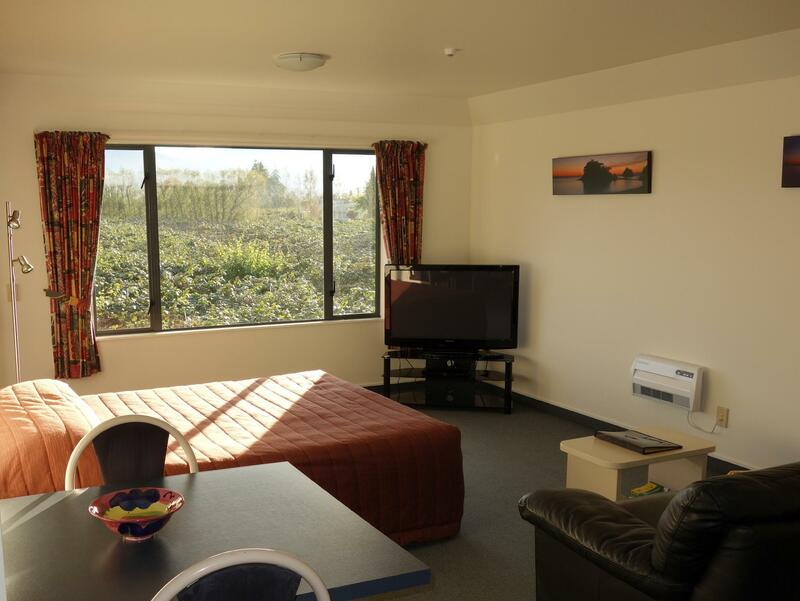 Very close to town and easy access to shops etc. 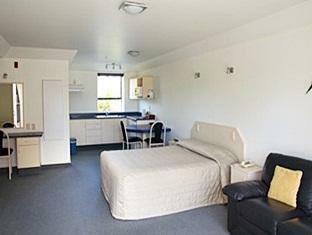 Nice bed, kitchenette, pleasing grounds. The room was very comfortable with large windows and small terrace to see the evening sun go down. Everything was very clean and looked new and well kept. Wifi worked well for those of us touring such an asset although the cost was $5 per room, reasonable. Only drawback not walking distance to restaurant so we went to the supermarket just up the road for takeout.